Surrey Storm player-coach Tamsin Greenway has retired from playing with immediate effect. 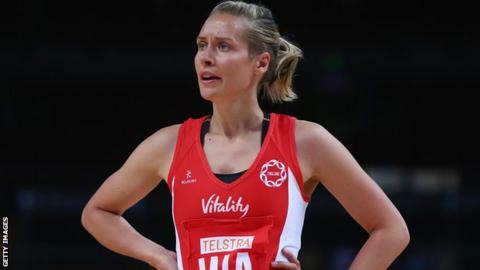 The 33-year-old represented England 67 times and won bronze medals at the Commonwealth Games in 2006 and 2010 and the Netball World Cup in 2011 and 2015. She joined Surrey in 2009 and led the Storm to their first ever Superleague title this year, having previously lost three finals. The mid-courter will continue to coach the Surrey Sports Park side.